Russ grew up in the northwest as a young cowboy. He was High School Rodeo State Champion 3 years in a row and was his High School State President. He worked for and looked up to Frank Beard (A well known rodeo stock contractor in the northwest). He then started breaking colts for local cattle ranches. 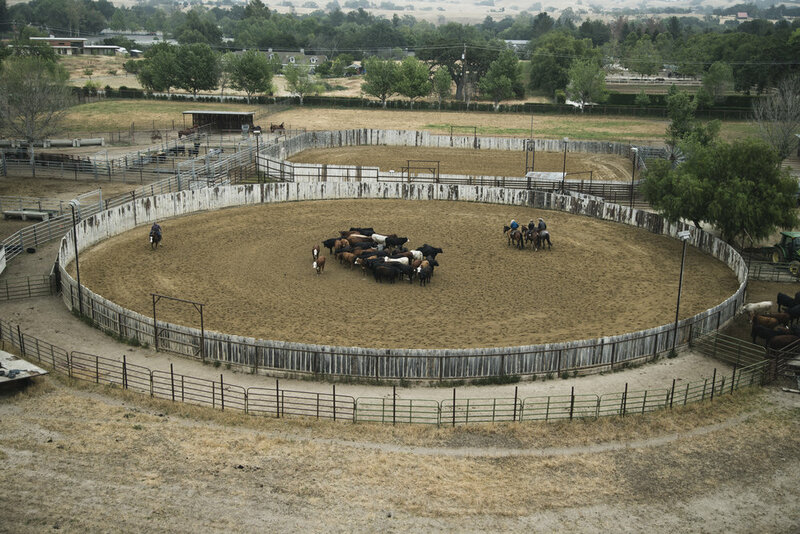 He realized he had a love and passion for a good cowhorse and an opportunity to work for the legendary Buster Welch came his way so Russ moved to Texas. It was an experience of a lifetime. Russ has been a professional cutting horse trainer for over 30 years. He and his wife Janet are both inducted into the NCHA Hall of Fame. Russ has NCHA lifetime earnings exceeding $3,000,000 and is also an NCHA judge. Russ and Janet and son Brandon all show as a family. Their accomplishments have included being Champion or Finalist at every major event from the West Coast to Texas. In 2017 the Westfalls purchased another ranch in Granbury, Texas to be close to the major events in Fort Worth. The Los Olivos Ranch is located on the beautiful Central Coast of California. It was an old historic headquarters and stagecoach stop. 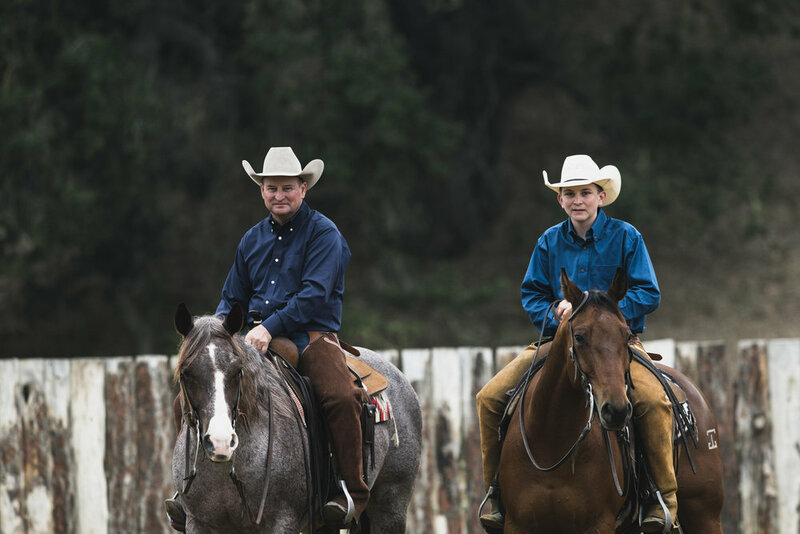 When not training horses the family enjoys tending their cattle or working on the ranch. Westfall Cutting is home to CD Royal. Sire of offsprings earning over 3 million dollars. 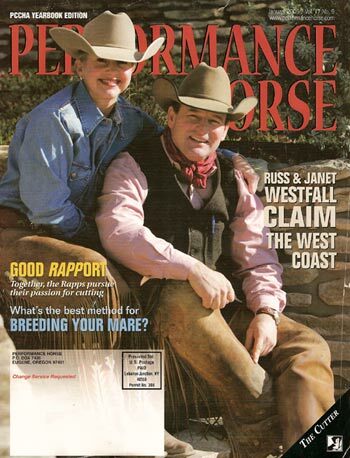 Westfall Cutting Ranch has been featured in magazines such as Quarter Horse News, Western Horseman, and Performance Horse Magazine.